Ash Carter Representing Obama’s Weak/Ineffectual/Lame Foreign Policy as Embodied by Fred MacMurray from My Three Sons as he lectures Putin’s Russia about “Misguided Strategy”. Check this website for the best online blackjack games. Where does the Obama administration find the people they hire for cabinet positions? They somehow are able to find the weakest, most boring, lame, ineffectual people with no passion and no core foundational beliefs to serve in the most important positions within our government. 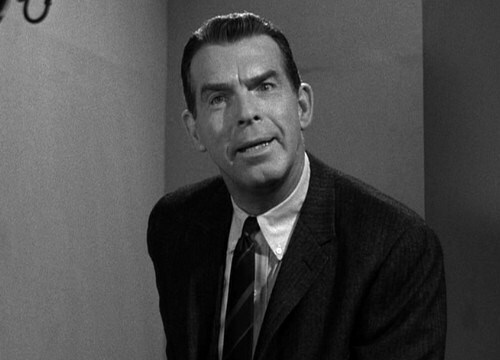 We now have Ash Carter as Secretary of Defense channeling Fred MacMurray of My Three Sons fame as he tells the Russians they are pursuing a “misguided strategy” in Syria. Why do these people even speak? Either act or don’t act, lead or don’t lead but please don’t waste time with a college lecture. If Putin is really bombing these so called rebels, all five of them, show us the evidence and do something about it or simply get the hell out of Syria. Saddam Hussein was removed from power and Isis is the result, Libya’s Dictator falls and the country is a pirate zone of trash, and now Obama’s grand plan is to depose Assad, good luck with that. So far all Russia is doing is proving the point that Obama has done little to defeat ISIS/ISIL, other than some video of bombing runs right before the November/14 elections we have seen no major updates. We have no details on daily sorties, no indication of ground taken back in Iraq, no mention of an Iraqi Army offensive after it was floated into the media last spring. If Putin is not destroying ISIS show us the evidence, otherwise we have to assume that he is the only leader actually willing to take them out. This blog is alive and not dead, we post when we are inspired or just mad at the world, so check back, once a week, once a month, or once a year. All opinions are of MikeFrancesa.com, all of the writing are our opinions, any news or facts will be linked to their source, all non linked sources are personal sources developed by us through our contacts in the media industry. This blog is not right or left, we have a point of view but we try to discover the truth. To gain wisdom from the oracle like opinions of MikeFrancesa.com visit the HOME link in the upper left portion of this page and Send Us An EMAIL.